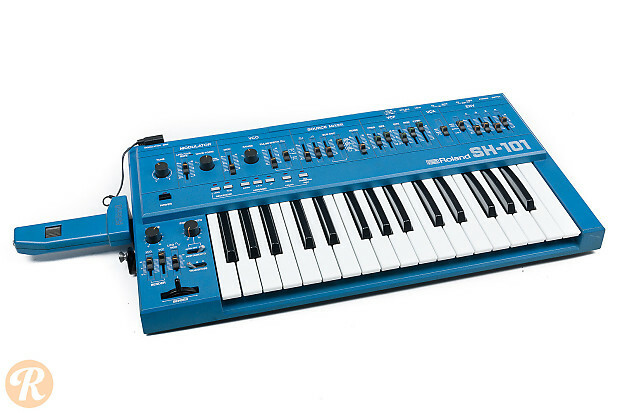 First manufactured in 1982, the Roland SH-101 is an analog monophonic bass synthesizer most notable for its use in techno and acid house music. 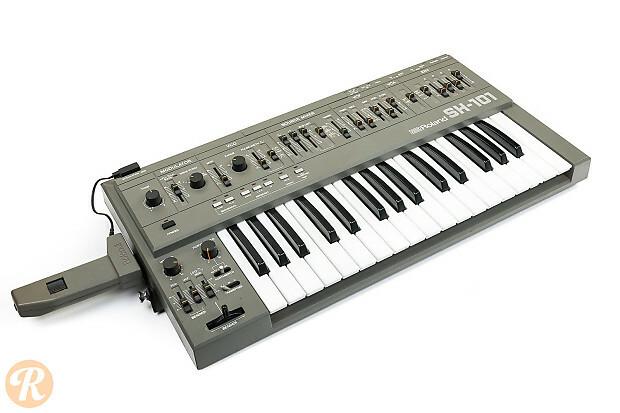 It has a simple layout with features such as a single oscillator with various mixable waveforms, a 100-step sequencer, and an up, down, or up/down arpeggiator. 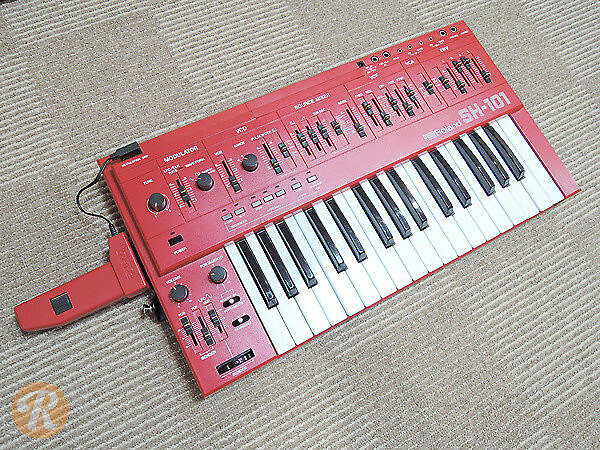 The Roland SH-101 came in gray, blue, and red finishes (and a rare white finish), with an optional hand grip controller for keytar performance.